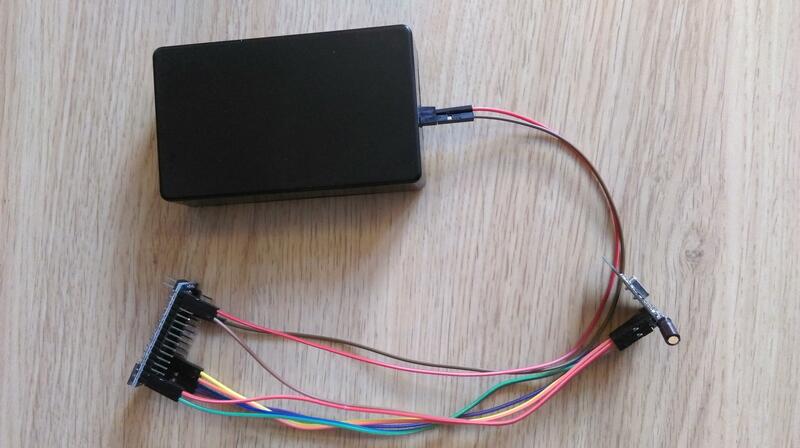 You have a MySensors network up and running (or plan) and are looking for cheap devices to add? But you can't/won't build them yourself? Well just add all the things (and by things I mean cheap 433Mhz devices) to your network by building a bridge to your existing mysensors setup! What you need to control them are two things: hardware and software. You can buy bridges like these premade but everything I found was really expensive (>50€, sometimes even more than a hundred), so I decided to build one myself. What did I do you ask? The core of my build is my standard for cheap DIY mysensor nodes: and normal NRF24L01+ (it might be a good idea to add a capacitor) and an arduino pro mini. To interface with the 433Mhz devices I added a cheap receiver (and plan to add an equally cheap sender too). The receiver is connected to Gnd and 5V (3.3V isn't enough for the receiver I used). It has a pin to add an external antenna but reception was good enough for (need this in only 2 rooms) with a good power supply. There are also (newer?) version out there that have only 4 pins and no antenna pin. The data output pin is connected to interrupt 1 (pin 2) on the pro mini. The pro mini is connected to 5V through the raw pin, the NRF to the 3.3V regulated part of the pro mini. A sender will be added later. 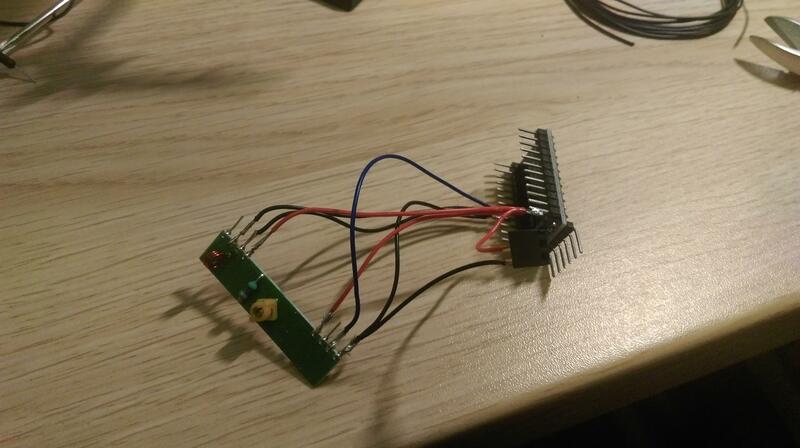 I simply soldered this all together with some wires as I only need one of those. If someone is interested in a real pcb for that just tell me. I might design one. I stuffed everything into a cheap case I bought from aliexpress or ebay (can't remember). As I didn't have any connectors around (can someone recommend some cheap ones?) I soldered some female headers to the end of the power connections that stick out of the box. These are connected to my serial mysensor gateway via male-to-female connectors. Powering both devices via USB from the raspberry pi seems to work but isn't ideal (it worked more reliably I think on my bench power supply). I plan to add a separate power supply later. So I created a basic mysensors sketch that constantly listens for 433Mhz devices. Once it receives signals from the right id (I used the decimal one) it sends and update to the controller. I bought one of these very cool looking touch switches from aliexpress. They run on a coincell and contain 1 to 3 touchpads. I got the 3 pad kind and every pad sends its own id (like the one posted above). My sketch translates that to "on" commands of mysensors switches. These then trigger a script in my controller (domoticz and dzVents) that control my led strips on 3 walls of the room. I plan to also add cheap wireless power plugs to the setup (most of them are controlled via 433Mhz too). For that I need to add the sender first though. So overall the bridge costs about 5€.